This is a rectangular Vacuum Cup Tires porcelain sign. This particular Vacuum Cup Tires sign is predominantly green with white text. 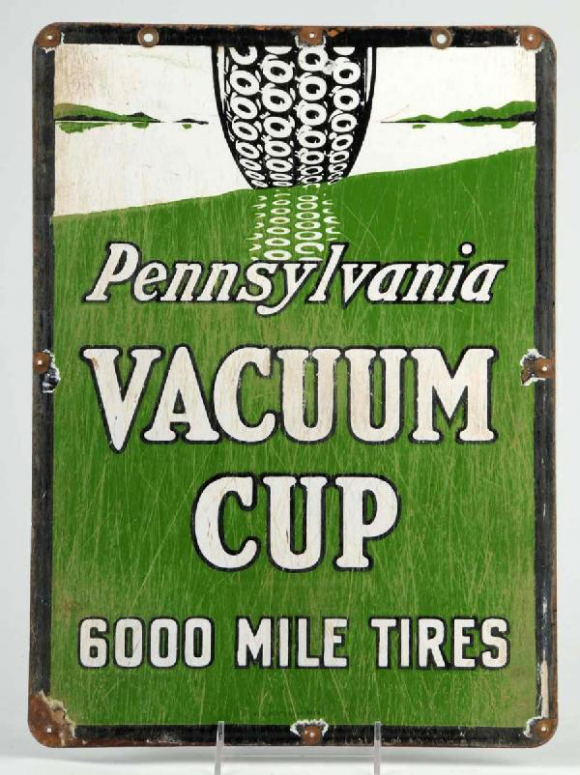 It reads, “Pennsylvania Vacuum Cup, 6000 Mile Tires” and features a close-up of a Vacuum Cup Tire at the top of the sign.